This book is a sequel to the author's earlier volume entitled, Literacy Instruction in Multicultural Settings. In addition to extensive updating of earlier material, this book extends the content coverage to include issues of power, attitudes, and systemic change through the application of discourse theory and critical theory. In doing so, however, the author has tried to maintain the brevity, stylistic clarity, and classroom focus of the earlier volume. *Teaching Flexibility. Although written with the classroom needs of pre-service teachers in mind, theory and research are treated in sufficient depth to make the book suitable for graduate courses and for teacher study groups. *Issues Organization. Each chapter is organized around familiar issues that characterize schools and classrooms with diverse student populations and explores these issues through new lenses that most teachers have not previously encountered. *Social Constructivist Perspective. 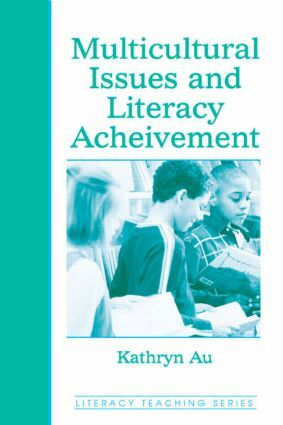 Critical theory, discourse theory, and historical perspective are introduced in order to sensitize readers to the need to recognize negative, socially sustained patterns that hamper literacy achievement and replace them with positive patterns. To this end each chapter asks students to maintain a running list of negative patterns along with alternative positive patterns.